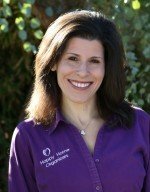 Happy Home Organizers, LLC specializes in residential properties: Kitchens, Dining Rooms, Bedrooms, Home Offices, Bathrooms, Family Rooms, Children’s Playrooms, Closets, Basements, Attics, Garages, Sheds and more. We help people who are feeling overwhelmed and stressed out go from chaos to calm. We help bring order and efficiency to people’s lives. After all…Life is happier when your home is organized!